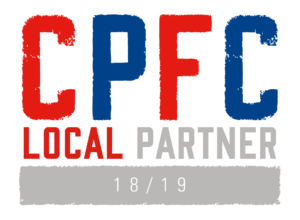 Sterling Rose Homes are proud local partners to Premiership Football Club Crystal Palace. Crystal Palace Football Club is a professional football club based in Selhurst, London, that plays in the Premier League, the top tier of English football. They were founded in 1905 at the famous Crystal Palace Exhibition building by the owners of the FA Cup Final stadium which was situated inside its historic grounds. Palace played their home games at the Cup Final venue until 1915 when they were forced to leave due to the First World War. In 1924, the club moved to their current home at Selhurst Park. Since 1964, Palace have mostly played in the top two leagues of English football. The club had a successful period in the top flight in the late 1980s and early 1990s and challenged for the English league title in the 1990–91 season, eventually finishing in third place in the top tier, their highest league position to date. Palace were denied a place in Europe at the end of that season due to the partial UEFA ban on English clubs following the Heysel Stadium disaster. It was during this period that the club also became founding members of the Premier League. Palace have reached the FA Cup final twice and finished runners-up to Manchester United on both occasions in 1990 and 2016. The club have also been second tierchampions twice and hold the record for the most play-off wins for promotion to the top flight, winning the final four times. In 1973, Palace changed its traditional kit colours from claret and blue to the red and blue vertical stripes now associated with the club. Palace have a fierce rivalry with Brighton & Hove Albion, with whom they contest the M23 derby. They also share rivalries with fellow South London clubs Millwall and Charlton Athletic. Sterling Rose Homes are proud sponsors and support the growth of Northwood Cricket Club. Northwood CC is an ambitious, well established and family orientated cricket club, who have been playing at our Ducks Hill Road ground for over 130 years. With state of the art nets and practice facilities, including a bowling machine, and as of 2015 a newly laid square, with more planned improvements to the playing area over the next few years NCC is looking positively into the future. We have 4 Saturday league XI’s playing in the Saracens Hertfordshire Premier League Division 2A, 6A, 10B and Regional C West respectively as well as a Sunday Friendly XI. We can also boast many other sporting events at NCC including a renowned Cricket Week in July, a bi-annual match against the MCC, and a tour in August. With some of the best teas in the county and a great social scene throughout the year Northwood CC is the place to play or spectate. 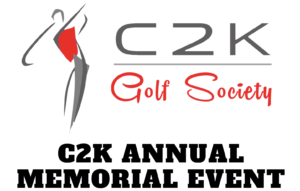 Sterling Rose Homes are proud sponsors of the 2018 C2K Golf Society Memorial Day. C2K is a local golf society ran by the famous Club 2000 restaurant in Rayners Lane, Harrow. Each year they host a Memorial Day to raise money for charity and invite guest from outside of the society for a fun filled day of golf and food. Sterling Rose Homes have decided to sponsor all of the raffle prizes in 2018, with an aim of raising as much money for charity as possible through the sale of raffle tickets. The event is scheduled for Friday 17th August 2018 at the Mill Green Golf Club in Welwyn Garden City. We will provide an update on monies raised after the event.